I am a musician that focuses on creating mainly electronic music. I started out about 16 years ago with just a turntable and a dj mixer and a used Ensoniq ASR-10. From there I developed my skill and understanding of production. The past 5 years or so I have been focused on releasing two albums of material and working on my next release. 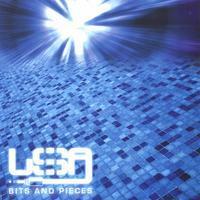 My latest release is called Bits and Pieces. It contains a mixture of atmospheric tracks with a touch of drum n bass, downtempo, trip hop and techno.